A crowd of surprised faces stood on guard before me, peering into bamboo baskets that had been laid out in a row. The afternoon breeze lay heavy with the gentle hum of curious murmurs and the occasional gasp that echoed through the gigantic hall where the ‘Desi Rice Mela’ was being held. As the crowd moved sluggishly forward, I got my chance to witness the source of all the commotion. In these baskets, there lay rice of different shades of colour - a rich texture of red, brown and black. “Rice is supposed to be white in colour. That’s common knowledge. Then I came here and I saw these different shades of it, and I couldn’t believe it.” says Shobha Dinesh, an amazed visitor. 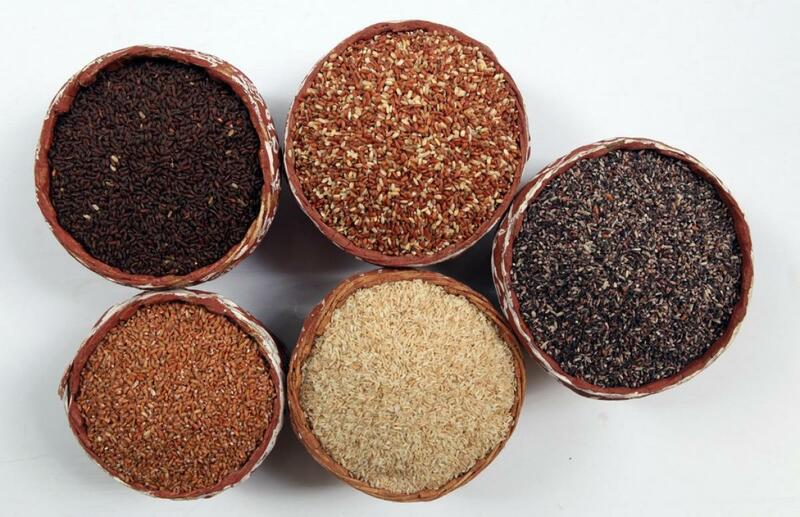 That apart, a display of round, bold and fine grains provided a glimpse of the traditional rice diversity in the state. 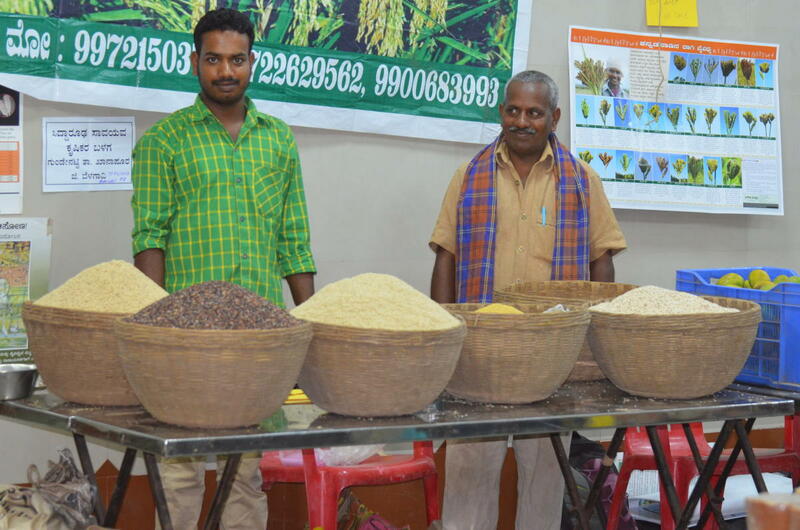 Traditional rice conservation in Karnataka began two decades ago with Green Foundation, an NGO, establishing a network of community seed banks across the state. Several individuals and collective efforts in different regions of the state helped in the systematic documentation of local paddy diversity. In the recent decade, ‘Save Our Rice’ campaign has also played a pivotal role in taking conservation efforts to preserve and popularise traditional rice to a whole new level in Karnataka. 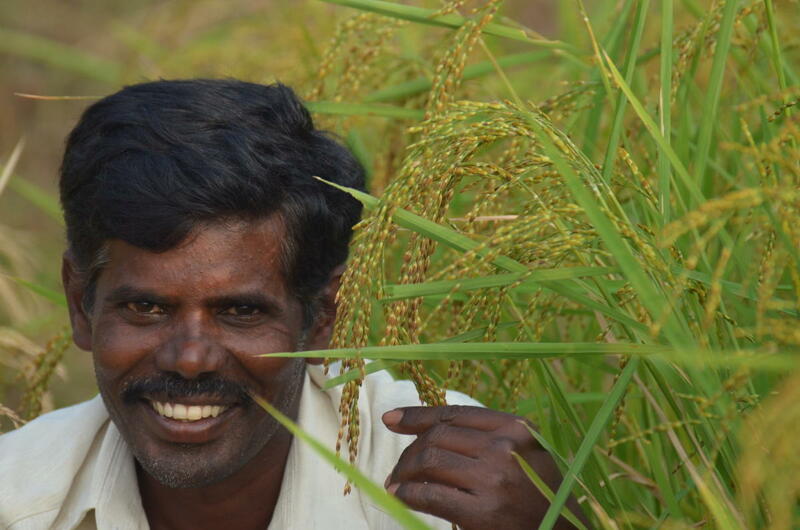 They have performed mapping, characterisation and on-farm conservation of the paddy diversity. More than 60 seed savers have developed rice diversity blocks and rice museums. There has been an exchange of traditional paddy varieties between states, increasing the number of varieties on the field. Studies have clearly established that these varieties have greater nutritional content and properties than popular polished rice varieties available in the market. Traditional rice is being conserved by many rice growers across Karnataka. 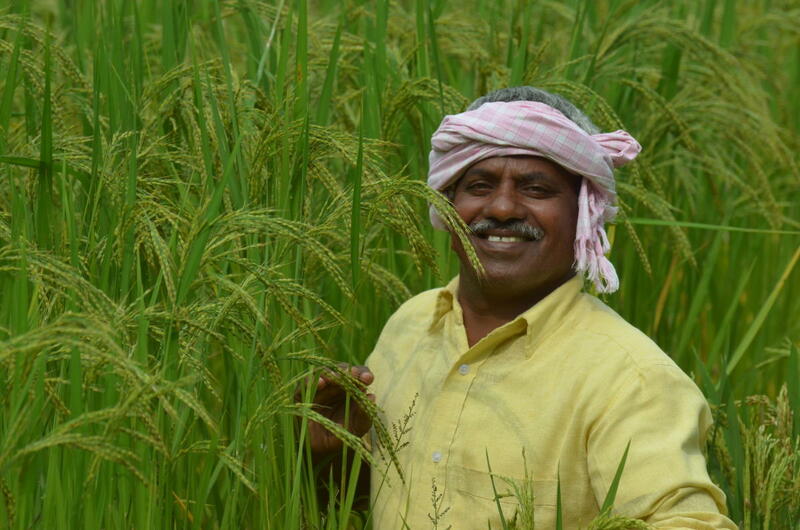 One of the pioneering organic rice grower groups in Karnataka is Sri Siddaruda Savayava Krushikara Balaga of Gundenatti, Belagavi. The group has 46 rice growers conserving 76 varieties. They are marketing 26 local varieties like Navilu Sale, Kunkuma Sale, Ambe Mohar, Belgaum Basmati, Kari Gajivili, Black rice, etc. They sell these varieties at a weekly bazaar conducted at Dharwad every Thursdays and Sundays. Last year, they sold about 50 tonnes of rice, worth Rs 25 lakh. “Most of the rice varieties that we produce are rain-fed. They grow under natural conditions, so they are tasty and unique in their characteristics. Each variety is used for a different preparation. Navilu sale for Idly, Ambemohar and Kari Gajavili for sweet dishes, Rathnasagar for daily use, Dadiga for curd rice, etc.,” says Shankar Langti, the group’s leader. A N Anjeneya of Sharana Muddanna Savayava Krushikara Balaga, Kumbalur in Davangere has conserved over 150 varieties. He sells 14-16 tonnes of rice every year and 1-2 tonnes of flat rice that consists of 40 different marketable varieties. “We also make many value additions. We make puffed rice from Dodda Batha, red flat rice from Jolaga,” he said. The group also sells popular daily use rice varieties such as HMT, Andanuru Sanna, Sidda Sanna and Salem Sanna. The farmers here also organise a weekly organic bazaar. Jayaprasad B C and his organisation Avani Organics from Hassan, has promoted organic farming and has given farmers a platform to sell their organic produce. They have three outlets that sell 100 tonnes of rice every year. Bailu Seeme Belegarara Sangha, Mandya is one of the major traditional rice producers and supply rice to the Bengaluru and Mysuru markets. Some of the major varieties they produce are Sidda Sanna, Dodda Baira Nellu, Salem Sanna, Burma Black, Navara, HMT and Kagi Sale. They sell 40 tonnes of rice annually. The farmers in the Varada river basin of the Sagara and Soraba region supply a large quantity of Kari Jeddu red rice to the market. Each region has its own set of varieties that have evolved to suit the climatic conditions. Several major strides have been taken to mainstream traditional rice in the market. Sahaja organics, a farmer-producer company has connected organic producers with customers and is one of the major organic wholesalers in Karnataka. They supply organic produce to most of the organic outlets in Bengaluru and other cities. “We sell around 220 tonnes of traditional rice every year. Rajamudi is one of the most popular variety and we sell 4-5 tonnes every month. In red rice, Kari Jaddu and Jolga are in demand. Burma black is the most popular black rice and Kuruvai Kalenji is a popular diabetic rice variety. In scented rice varieties, Gandhasale, Gumsale and Jeera Sanna move well in the market. Navara is also popular as it is a medicinal rice variety,” says Omkar Murthy of Sahaja Organics. There is a good demand for organic traditional rice varieties but the supply isn’t continuous. Another milestone in the marketing of organic rice is the weekly bazar conducted regularly in Dharwad, Davanagere, Mandya and Mysuru. Rajamudi, grown in and around Hassan, is a popular variety that was initially grown exclusively for the Wadiyars of Mysore. “Those who were unable to pay their taxes in cash were encouraged to pay the king of Mysore this variety of rice,” says Yogesh G H, deputy director of agriculture, Mysuru. Now Rajamudi has gained a place in the kitchen of common people. There are also efforts to make Rajamudi rava using stone chakkis, a traditional rice grinder used for milling the rice. A sudden surge in demand has made the variety popular among farmers in other regions as well. “Rajamudi is local to the old Mysuru area. It’s original taste, aroma and quality can only be attained when grown in this soil. However, due to the variety getting famous, growers from various other places are also getting into the market. This affects its quality and flavour. This could have an impact on the fame of the variety,” says Hoysala Appaji, a traditional Rajamudi grower from Unnenahalli in Hole Narsipura taluk of Hassan district. To prevent this from happening, the Karnataka Agricultural Price Commission in collaboration with Sahaja Samrudha, a farmers organisation, is trying to secure a Geographical Indication (GI) status to the variety. “Rajamudi is only the first variety in line. KAPC is also gearing to secure the GI tag for varieties like Sannavalya, Karikagga, Jolga, Ratna Chudi, Gandhasale and Doddabayranelu,” says T N Prakash Kammaradi, chairman, KAPC. Apart from securing the community rights for the traditional varieties, efforts are also on to ensure better processing facilities. “If we use conventional mills, where farmers get chemically grown varieties milled, our produce gets contaminated. This is a major concern for aromatic and black rice varieties as they lose their quality. A community-level rice mill exclusively for organically grown varieties would help us,” says C P Krishna, a farmer in Mandya. “Since the government took no initiative to set up community-level rice processing units, I established a mini rice mill that suits all traditional rice varieties. The brawn of the rice is very nutritious and shouldn’t be completely removed. So instead of completely polishing the rice, we produce one-touch polish rice and unpolished rice,” says Kailash Murthy, a well-known natural farmer. “We have a rich diversity of traditional rice that needs to be conserved and popularised. In Thailand, farmers have set up a model that has worked well for them. They pack rice varieties in attractive packets and sell them at farmer markets. The government has also supported them by establishing traditional rice processing units,” says Shantha Kumar C, convener, Save Our Rice campaign. If the government here too should work towards supporting the keepers of heritage paddy varieties by establishing rice processing units, protecting producer rights through GI tags and providing marketing support.